Manchester United have opened talks with Paris Saint-Germain regarding a potential deal for Lucas Moura, according to Le 10 Sport . The Brazilian winger has barely featured for PSG this season and agreed personal terms with Chinese side Beijing Guoan in early December . However, that deal has yet to be completed amid reports Lucas is holding out for a move to a major European club. Chelsea had previously shown an interest in the 25-year-old, but now United have made an approach, although any offer for Lucas is expected to be below PSG’s valuation of the player. Jose Mourinho is ready to pull out all the stops to land Atletico Madrid attacker Antoine Griezmann in January, according to the Daily Star . While the plan was to go after the France international in the summer, with Romelu Lukaku and Zlatan Ibrahimovic both sidelined, Mourinho needs reinforcements up top immediately. Mourinho is willing to offer Griezmann £300,000 a week to get him to leave Atletico and snub Barcelona, who are also after the attacker. Stoke City watched Celtic striker Moussa Dembele draw a blank in Saturday’s Old Firm derby draw with Rangers, reports The Sun . Dembele has been linked with a string of clubs and Celtic boss Brendan Rodgers is not ruling out selling the forward in the transfer window follow reports of a bid from Brighton. The 21-year-old is now a target for Stoke, although he failed to add to his eight goals for the season and was replaced just past the hour mark of the 0-0 stalemate with Rangers. Manchester United have agreed a £4 million fee to sell goalkeeper Sam Johnstone to West Brom, claims TEAMtalk . Johnstone is currently on loan at Aston Villa, but United intend to recall the 24-year-old after reaching an agreement with West Brom. With Johnstone out of contract at the end of the season , United have decided to cash in during the January transfer window. Rangers want to sign Arsenal midfielder Marcus McGuane on loan in the January transfer window, according to The Sun . McGuane has made two substitute appearances for Arsenal in the Europa League this season and has also been linked with a move to Napoli. The 18-year-old is looking to head to a club where he will play regularly and Rangers hope that will boost their chances of agreeing a deal. Real Madrid is set to call off their pursuit of Chelsea attacker Eden Hazard according to Marca . Instead, Zinedine Zidane is planning on giving a chance to 23-year-old Marco Asensio as the club believes adding the Belgian would further hinder the Spaniard’s development. In fact, the report states belief from the directors in Asensio is so high, they have stopped any further attempts to sign Hazard. Besiktas striker Cenk Tosun is set to arrive on Merseyside to complete a £25 million move to Everton, according to The Sun . The Turkey international is set to become Sam Allardyce's first signing at Goodison Park, with the Toffees offering him a £7.5m-per-year deal. Allardyce will allow forward Oumar Niasse to leave once the Tosun deal is finalised as he looks to continue his good start to life in Liverpool. Mauro Icardi has eyes for Manchester United if he decides to leave Inter according to Don Balon . While Icardi currently feels committed to the club as it chases a Serie A title, he is considering his options for the future. According to the report, playing for Jose Mourinho, the former manager of Inter, is a dream for the attacker. Watford manager Marco Silva believes his club will beat out Premier League competitors Newcastle to sign Islam Slimani, according to the Mirror . The striker has fallen out of favor with Leicester City and seems set for an exit from the King Power Stadium in the near future. He has been linked to a move to Newcastle, but Silva thinks he will land the striker, who he worked with at Sporting Lisbon. Real Madrid are getting ready a £120 million offer to pry Eden Hazard from Chelsea according to the Sun . The offer, which would break the British transfer record, is part of an attempt to pressure Chelsea into selling the attacker with two and a half years left on his deal. If Chelsea wait until Hazard has a year left on his contract, his value would drastically drop. Former Arsenal and Chelsea midfielder Lassana Diarra is ready to join Ligue 1 leaders Paris Saint-Germain according to the Mirror . Diarra, who was recently released by Al-Jazira, would join on free as PSG tries works to comply with Financial Fair Play regulations following their huge summer which included the signings of Neymar and Kylian Mbappe. West Ham’s chances of signing Swansea’s Alfie Mawson may depend on whether they will send Andre Ayew the other way, according to the Mirror . Ayew has struggled to reach the same heights in London that he did for the Swans, and the report states Hammers boss David Moyes will be asked to part with him in any deal for Mawson. Manchester United have lined up a move to sign Juventus striker Paulo Dybala and are hoping "secret agent" Paul Pogba can play a part in the move, according to the Mirror. Pogba, who joined the Old Trafford side from Juve for £89 million in the summer of 2016, played with Dybala in Turin and is said to be close friends with the 24-year-old. Jose Mourinho has now placed Dybala at the top of his summer transfer shortlist and will call upon Pogba to convince Dybala on a move to Manchester. 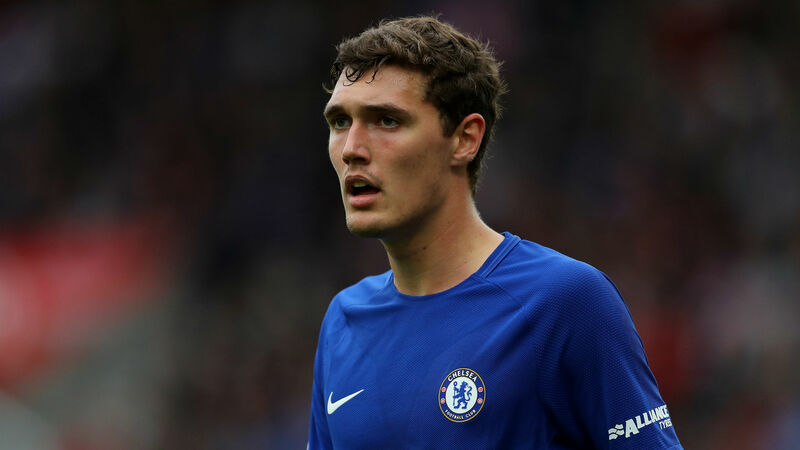 Barcelona are considering a bid for Chelsea defender Andreas Christensen, according to the Daily Mirror . The centre-back has usurped David Luiz as one of Antonio Conte's most trusted lieutenants, and Ernesto Valverde is in the market to sign a world-class central defender. Barca have been monitoring Christensen since his ascent into the first team, and are keen to lure him away, with the Blues set to offer him a new deal to ward off any potential interest. 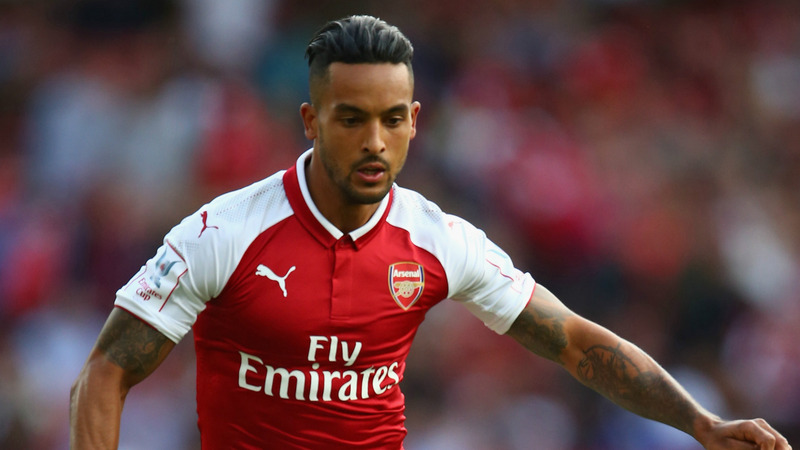 Southampton and Everton are ready to go head-to-head for Arsenal winger Theo Walcott, according to the Daily Telegraph . There is reportedly an acceptance at the club that Walcott's time is up, and both the Saints and the Toffees are now ready to exploit the situation. The Saints, flush from their sale of Virgil van Dijk to Liverpool for £75 million, believe they could reignite Walcott's faltering career, having given him his start in the 2005-06 season. Everton, meanwhile, are in the market for a Premer League goalscorer as Sam Allardyce looks to refresh his squad.